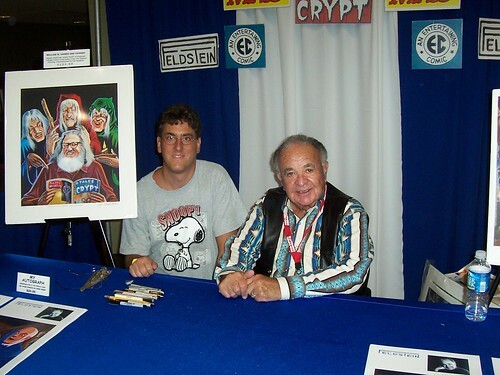 AP is reporting that the great Mad Magazine editor Al Feldstein has passed away. I knew him slightly. He used to send seriously leftist emails to people he knew. I will set about saving them for a the Billy Ireland Library at Ohio State. That's Craig Fischer, Richard Thompson, Roger Langridge and Al. Al and a fan at Heroes Con. Al and Ben Towle at Heroes Con. 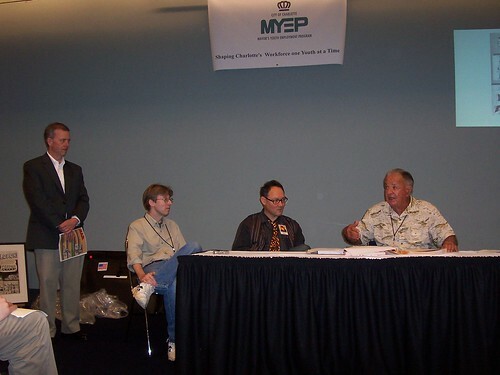 More pictures from the 2008 Heroes Con are here. Brooke will be signing the comic at Big Planet on Saturday's Free Comic Book Day. Jen Sorensen is the first Herblock Award winner I've asked to sign something. 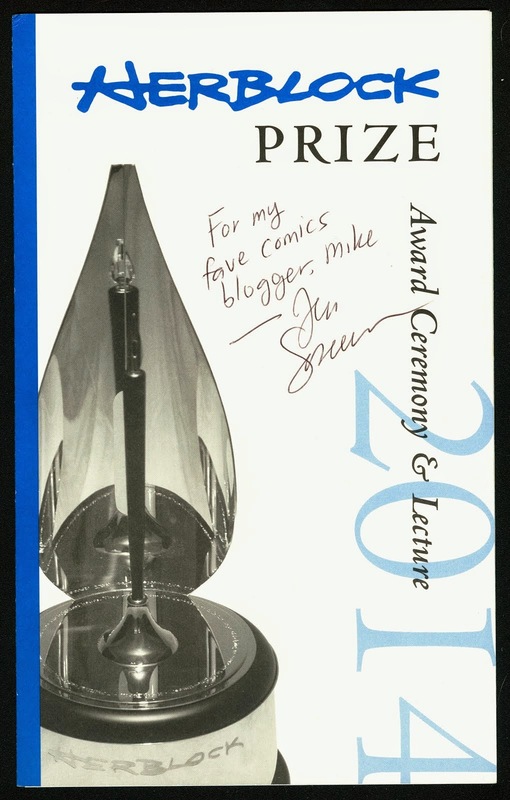 "For my fave comics blogger, Mike - Jen Sorensen" is a nice autograph to have. The Independent Fan Film Festival! 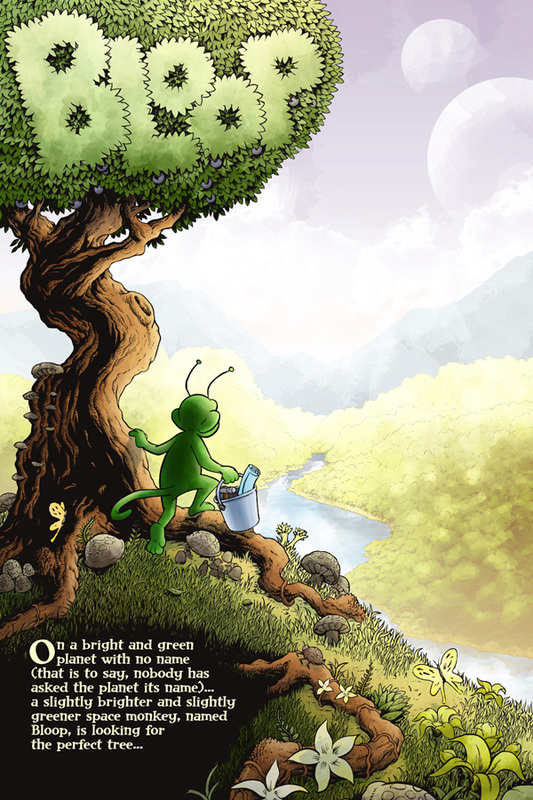 The ANS Sci-Fi & Comic Con returns to Archbishop Neale School in La Plata, Maryland on May 10, 2014 with a brand new event - The Independent Fan Film Festival - featuring five amazing fan-produced films and the headlining film, "Dear Mr. Watterson, An Exploration of Calvin and Hobbes". The ANS Sci-Fi & Comic Con is a fundraiser and awareness-raiser for Archbishop Neale School, a Catholic School in operation in La Plata for over 85 years. The event is organized, promoted and run by a small staff of committed volunteers and every penny raised goes directly to the school. 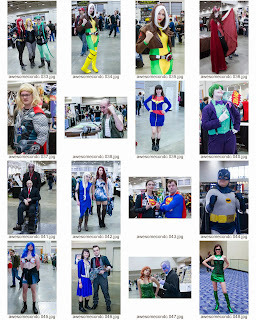 The popular event features over 50 vendors and artists selling original art, old and new comics, trading cards, collectibles, toys and other pop culture ephemera. Over 75 vendor tables sold out in less than 24 hours when they were made available in January prompting organizers to open hallways in the school to accommodate more dealers. 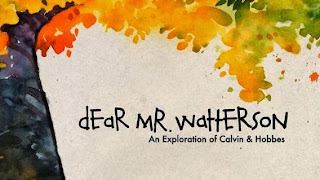 Earlier in April, the Independent Fan Film Festival was announced along with the Spotlight Feature Film, "Dear Mr. Watterson". This Kickstarter-funded film examines the impact of the ever-popular comic strip, "Calvin and Hobbes" and its' enigmatic creator, Bill Watterson. Directed by Joel Allen Schroeder, "Dear Mr. Watterson" has won numerous awards at film festivals nation-wide. "We were really lucky that "Dear Mr. Watterson" was made by such a generous guy like Joel", says convention organizer Tom Boone. "He understood that this is our first film festival and a charity event, too. Joel graciously gave us permission to screen this wonderful film that I think matches our audience perfectly. 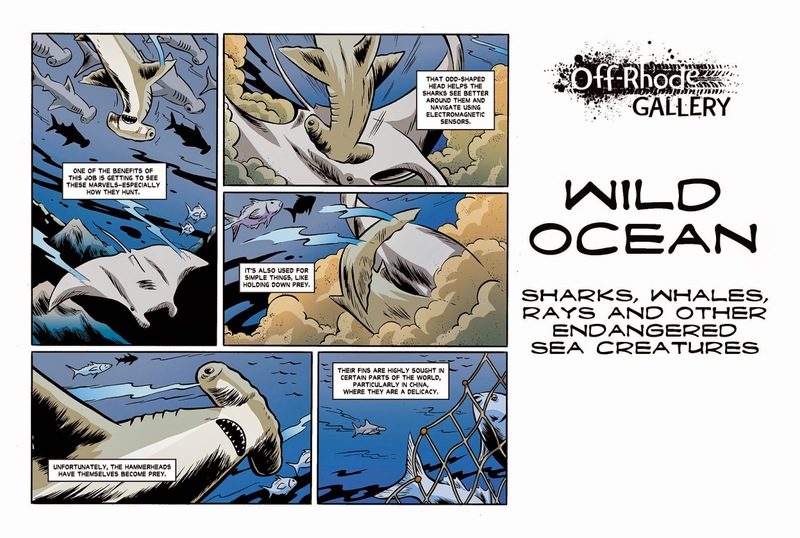 It's great for young, aspiring artists as well as fans of comics and great art." In addition to the indie film fest favorite "Watterson", five other fan-produced films have been announced as part of the Independent Fan Film Festival. "All of these films were made by fans, and can exist within the film franchises they represent because they happen just outside of the films we've already seen", says Boone. The Italian "Dark Resurrection" takes place several hundred years after "Star Wars - Return of the Jedi" and "The Hunt for Gollum" follows the adventures of the J.R.R. Tolkien-created character Strider, who was not seen in the "Lord of the Rings" trilogy. Similarly, the Harry Potter-related film "The Greater Good" features a story of Young Dumbledore mentioned in one of J.K. Rowlings' books and "Judge Minty" is based on a character from the "Judge Dredd" comics. A parody of the A-Team, "The Safe Team", rounds out the selection of films. Attendees can vote for their favorite films and the winning director will receive a "Best Film" trophy made by Virginia -based glass artist Patti North. 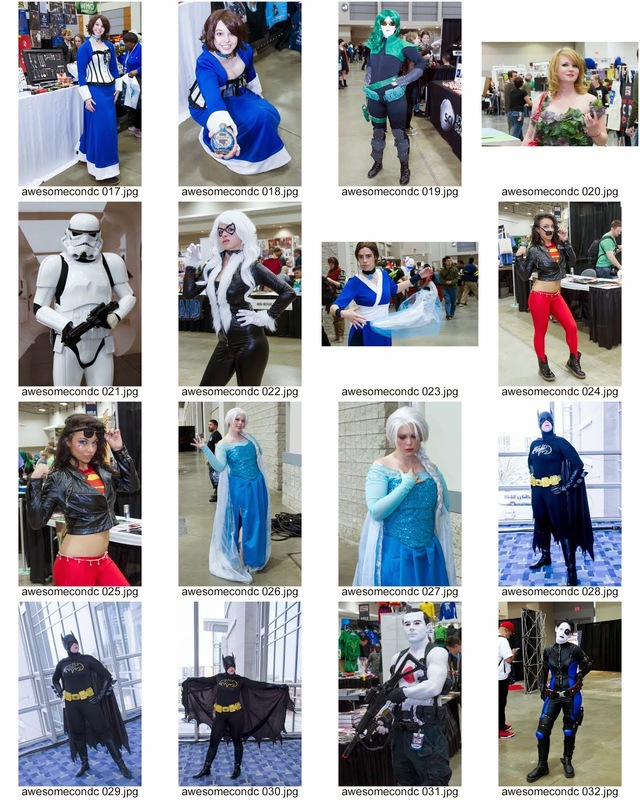 Organizers encourage attendees to plan for a full day at the ANS Sci-Fi & Comic Con. An Art Contest for Kids will be featured as well as a costume contest for all ages. There will be a Silent Auction featuring autographed items and collectibles and door prizes will be awarded hourly. Costumed members of the 501st and Rebel Legions will be on hand to play a Star Wars Angry Birds game with kids. Plus Viking re-enactors from the Longship Company will be returning with their historic Nordic artifacts and food will be available, too. Local photo gadfly Bruce Guthrie has put his pictures of last night's Herblock Award talks by Jen Sorensen and Bob Woodward online. Both talks were excellent. Jen's had multiple highpoints, and Woodward's went through the history of Watergate via Herblock cartoons. I look forward to both being posted online. More photos from Bruce should follow when he gets the time to upload them. Following 2012's hugely popular series "Castles in the Sky: Miyazaki, Takahata and the Masters of Studio Ghibli," this selection of Studio Ghibli favorites returns to AFI Silver for an encore presentation, now also including a new 35mm print of GRAVE OF THE FIREFLIES, unavailable in 2012, and Hayao Miyazaki's latest and declared-final masterpiece, THE WIND RISES. It's time for the best day of the year! Free Comic Book Day is THIS Saturday, May 3, running all day at ALL of our stores! Brooke and Grace are co-creators of Lumberjanes, the new comic from Boom. Carolyn, Joe, other Joe, and Teresa are all contributors to Magic Bullet and volunteering their time for the "Cartoonists Draw Blood" blood drive on May 31, at Seekers Church across from the Takoma metro. Jen Sorensen will be receiving the Herblock award for editorial cartooning tonight at the Library of Congress. There's a good story in the Washington Post by Michael Cavna, but it doesn't appear to be online yet. 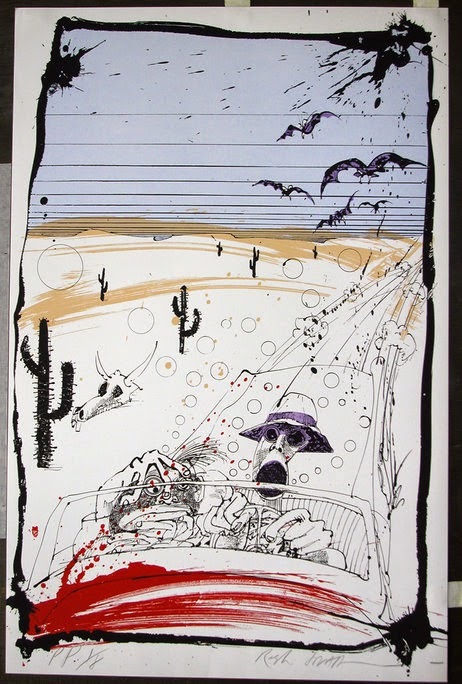 "Ralph Steadman is known to most Americans for the surreal illustrations he drew to accompany Hunter S. Thompson's articles and books, including Fear and Loathing in Las Vegas. But Steadman has drawn everything from extinct birds to savage political caricatures to wine and beer labels. He's even written an opera libretto." Click for more. The event will be held at the St. Augustine Catholic School, located at 1421 V Street NW, Washington DC 2009. The event will start at 630p and end at 830p on Thursday May 1st, 2014. Doors will open at 6p. The event is designed for teenagers and young adults. However, the event is open to all, and parents, teachers, and mentors are welcome to come with their children, students, and mentees. "March: Book One" will be available for sale at the event. The St. Augustine Catholic School is on V Street NW between 14th St NW and 15th St NW. Nearby bus stops are on 14th and U Sts (52, 54, Circulator) as well 16th and V Sts (S2, S4). The nearest metro station is the U Street station (Yellow/Green lines) at 13th and U Sts NW. There is limited free public parking available at the Gingras Center located next to the school, at 1419 V Street NW Washington DC. Street parking is also available, and is free after 6:30 pm. Hey guys! We are almost half way there in just under three week!! Woohoo! Thank you! Can you please SHARE this link? It can triple your impact of your donation! Cuz this is the ONLY way people will know about this. Thank you! This is a bit of a surprise, especially a day after Cavna's article on the Post's spiking of a Doonesbury strip... admittedly that was 41 years ago. I guess Trudeau isn't holding a grudge. Doonesbury.com, the ultimate destination for fans of Garry Trudeau's famous comic strip, will now live exclusively on The Washington Post's website. More than just your average fan site, Doonesbury.com is a place where readers can interact with the strip and its characters through fresh content and features like daily videos, links to news stories, a regular Straw Poll, character bios, a Doonesbury timeline and more. ....brought to you by the students at Washington-Lee High School in Arlington. Each show will have an evening performance at 7pm. Ticket prices for Shrek: $7 in advance and $10 at the door. 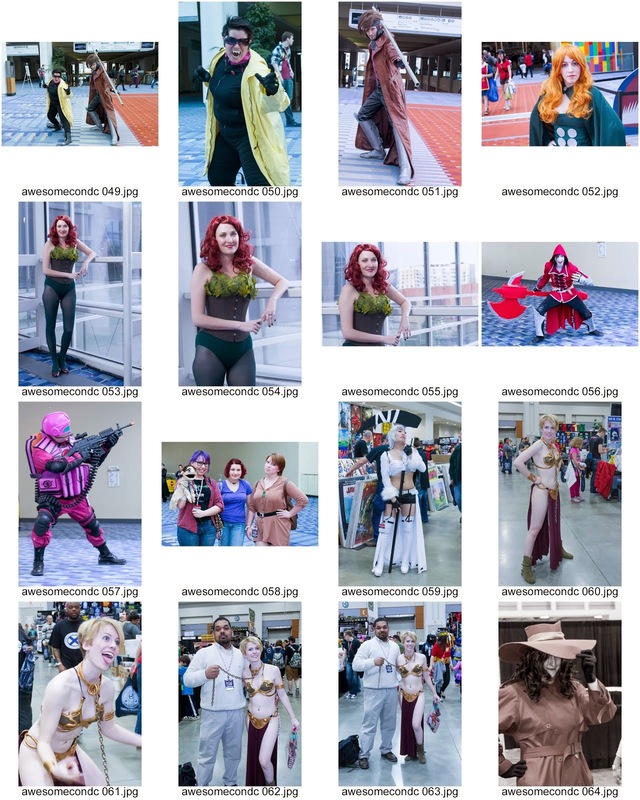 Curls' Carolyn Belefski writes about her Awesome Con experience here. I'll be interested in seeing her husband Joe's documentary. It's an American invention and a 20th century institution, yet the comic book encompasses the arc of humanity that runs from prehistoric cave paintings to the graphic novels of the future. Arnold Blumberg, former curator at Geppi's Entertainment Museum, calls the comic book "not just a reflection of our culture—it is our culture." A culture experienced on so many levels, whether it's colored by memories of hiding under the covers with a flashlight and a comic book after bedtime or catching up with digital favorites online. Ever since Superman kicked off the superhero comic genre in 1938, the medium's influence has spread throughout the arts, influencing fine and performing arts as well as pop culture and becoming part of the fabric of human dreams. This exhibit gathers all the elements of the art form, from original pencil drawing and hand inking to graphic design and digital manipulation, and beyond into the new incursions of what comic artist and theorist Scott McCloud calls "the infinite canvas" of web-based comics, games and graphic novels. Step into the world of wonder that's reflected in the comic genre; share it with someone you love. It's just as you remember, and so much more than you can imagine. In conjunction with its new fine art exhibit, A Shared Universe: The Art of Comic Books, Strathmore brings together a panel of experts for "Beyond Text and Line: A Discussion on the Art of Comic Books." Join the colorful conversation moderated by Greg McElhatton, former Executive Director of the Small Press Expo (SPX,) a founding freelancer for Wizard, and a current reviewer on iComics.com. Panelists include: Emily Gillis of Wayward Studios; JD Deardourff, a local comic-inspired artist; Rafer Roberts of Plastic Farm Press; and Monica Gallagher of EatYourLipstick.com. In conjunction with its new fine art exhibit, A Shared Universe: The Art of Comic Books, Strathmore presents Stripped, a feature film documentary illustrating the lives of the world's best cartoonists. Share in their musings of the art form they love and where it goes as newspapers die. 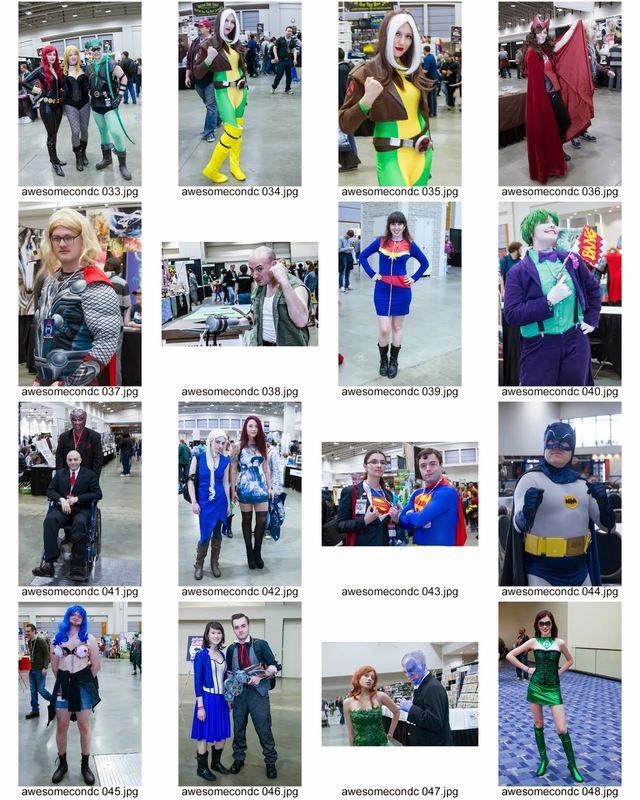 Awesome Con In DC Grows 250% – Will It Be The Next Big Thing? First 30 in line receive a FREE gift! Comic books get the respect they deserve in 'A Shared Universe: The Art of Comic Books' at Strathmore's Mansion [in print as, Expanding 'Universe': Comic books get the respect they deserve at Strathmore's Mansion]. [Awesome Con 2014] The second one ever, my first time going, and yes, it was AWESOME! In the meantime, if you would like to join us for the next installment of the Animezing series, Colorful, please copy and paste the link below into a new browser window. Wednesday, April 30, 6:30 p.m. Upon reaching the train station to death, a dejected soul is informed that he is "lucky" and will have another chance at life. He is placed in the body of a 14-year-old boy named Makoto Kobayashi, who has just committed suicide. Watched over by a neutral spirit, Purapura, the soul must figure out what his greatest sin in his former life was, before his time in Makoto's body runs out. He must also unravel the mystery of what led Makoto to commit suicide in the first place, and learn how to appreciate his precious second chance at life. Note: May not be suitable for children. This event is free and open to the public, but registration is required. Please note that seating is limited and registration does not guarantee guests a seat. Registered guests will be seated on a first come, first served basis. Please contact us at jicc@ws.mofa.go.jp in the event of cancellation. Doors open at 6:00 pm. No admission or re-entry after 7:00 pm. What Do 'The Simpsons' Look Like In Lego? An Event 30 Years in the Making!! J.G. Jones, Don Rosa, Todd Dezago, Craig Rousseau, Steve Conley, John Gallagher, Frank Cho, and Free Comics! 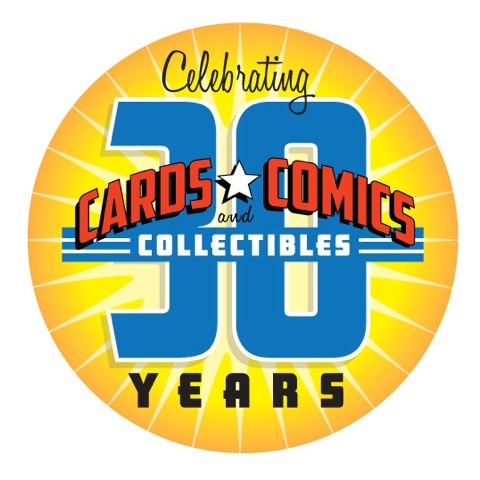 REISTERSTOWN, MD - April 23, 2014 - On Saturday, May 3 2014, Cards, Comics & Collectibles of Reisterstown, MD will not only be celebrating Free Comic Book Day, but will commemorate an even bigger milestone event - its 30th Anniversary! This will be the biggest extravaganza held at the store to date, and will feature: appearances by superstar creators J.G. Jones, Don Rosa, Todd Dezago, Craig Rousseau, Steve Conley, John Gallagher, and Frank Cho*; great sales on hardcovers, trade, toys, statues, and modern back issues; and, of course FREE COMICS and MORE! 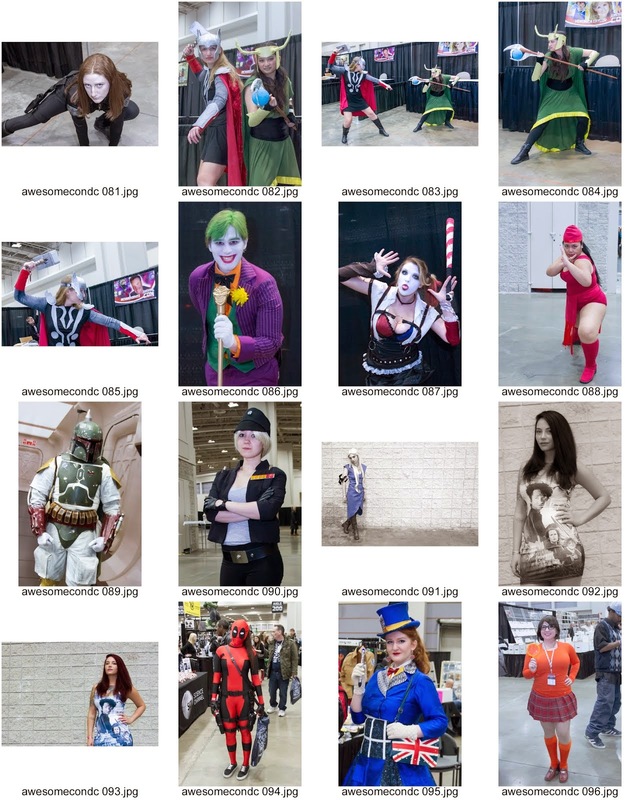 "When we first opened our doors on May 1, 1984, I couldn't even imagine celebrating 30 years," said Marc Nathan, owner of Cards, Comics & Collectibles and show promoter for the Baltimore Comic-Con. "Thirty years seems like such a long time, but it's been an amazing ride that has just gotten better and better every year. From the awesome group of creators who've appeared in the store and at the show over the years, to the loyal customers who come in week after week, I couldn't have asked for a better 30 years in the comic business!" 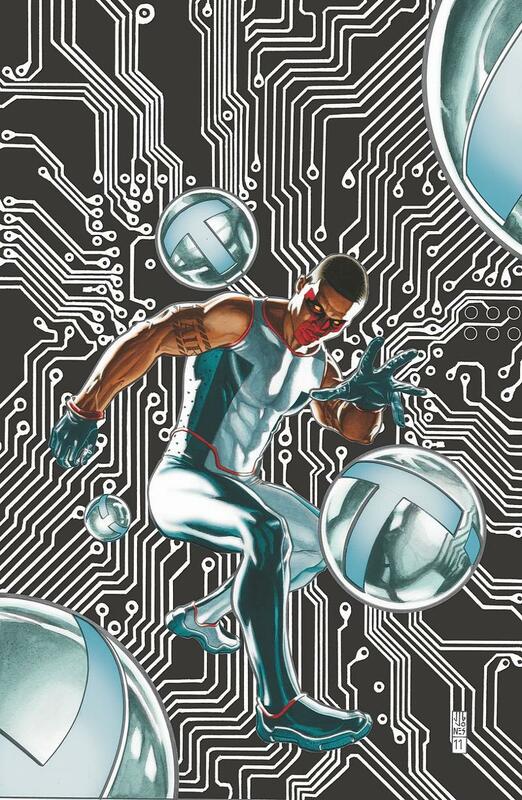 In addition to the dozens of free comics that will be available that day, the first 100 customers will receive a Cards, Comics & Collectibles exclusive Rai #1 (Valiant Comics) variant cover by J.G. Jones. This cover was commissioned exclusively for the 30th Anniversary and is not available anywhere else!! But wait, there's more!! Every customer who stops by will receive a FREE Baltimore Comic-Con T-Shirt while supplies last! Plus, all weekend long (May 2-4, 2014) get an additional 50% OFF all Hardcovers, Trade Paperbacks, Toys, Statues, and Modern Back Issues!! Come early, come in costume, and come to help us celebrate 30 amazing years of Cards, Comics & Collectibles!! Cover artist extraordinaire, J.G. Jones broke into comics in 1994, working on two issues of Dark Dominion for now-defunct Defiant Comics. 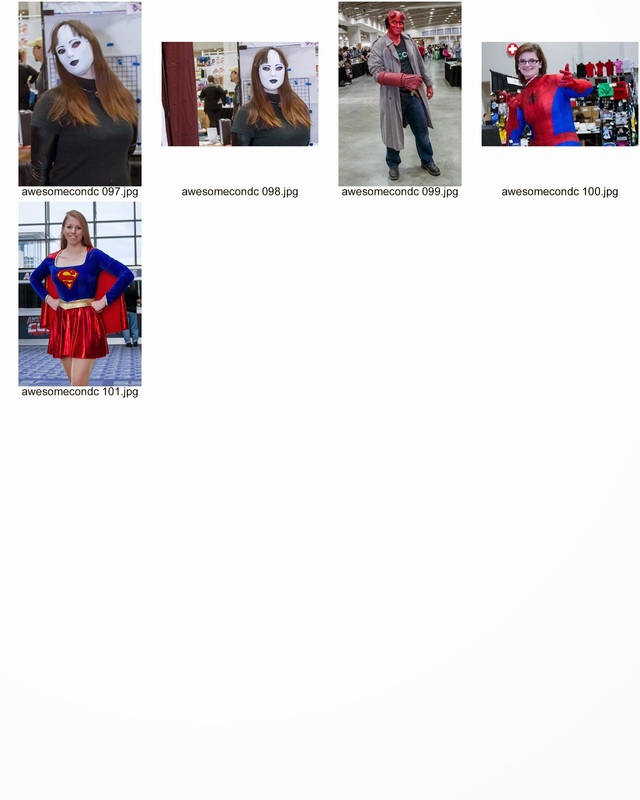 Since then, Jones' artwork has graced the pages and cover of such titles as Black Widow, Marvel Boy, and The Avengers from Marvel Comics and Wonder Woman: The Hiketeia, 52, and Final Crisis from DC Comics. 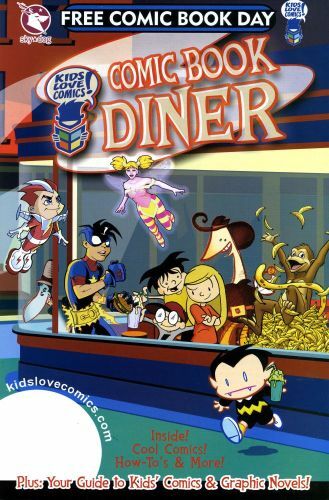 Most recently, he provided cover and interior artwork for DC's Before Watchmen: Comedian mini-series. Don Rosa is a writer and illustrator, who is most famous for his work on Scrooge McDuck stories from 1987-2006. 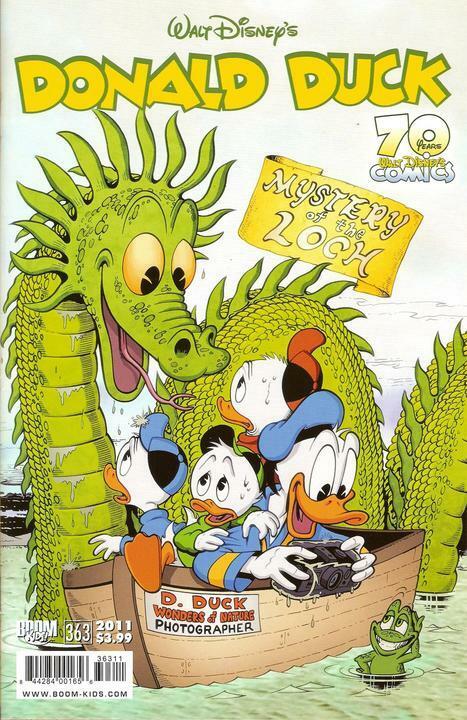 His work is highly regarded by fans of Disney comics illustrating the Duck universe. 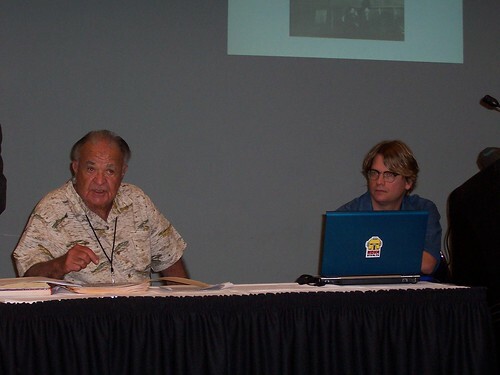 Although he officially retired in 2008, his seminal work on the Eisner-award winning Life and Times of Scrooge McDuck, stands as one of the most popular Disney comics of all time. Writer Todd Dezago began his career in 1994, scripting the adventures of Marvel's Merry Mutants in the pages ofX-Force. In 2006, he moved to The Sensational Spider-Man with artist and frequent future collaborator, Mike Wieringo. 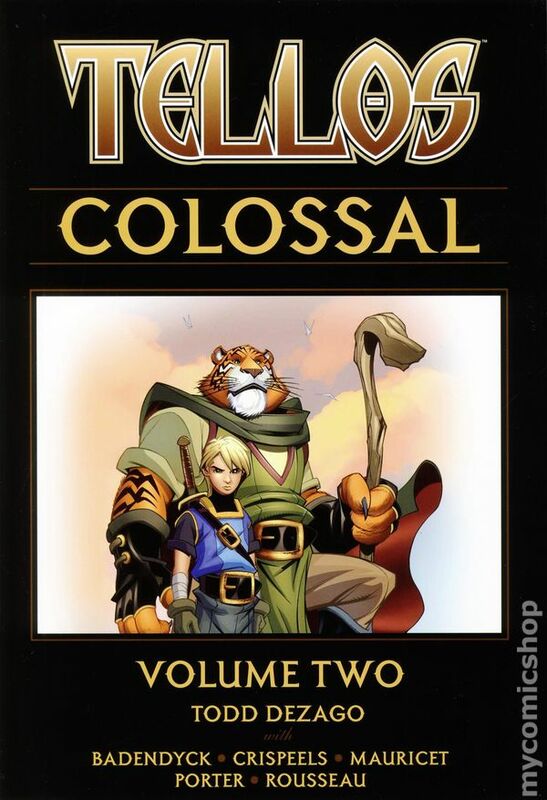 In addition to his work at Marvel and DC Comics, Dezago also co-created Tellos (with Wieringo) and The Perhapanauts with artist Craig Rousseau. 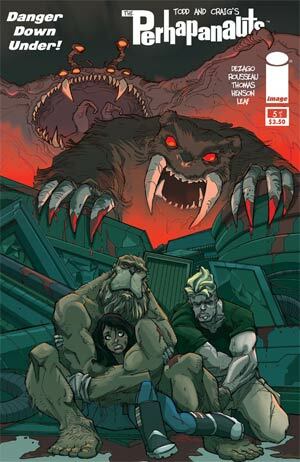 His most recent work includes the mini-series The Perhapanauts: Danger Down Under from Image Comics. Craig Rousseau started his career in 1997 as a fill-in artist on issue #22 of DC Comic's Impulse. By issues 27, he was named as the full-time artist. After his run on Impulse, DC gave him a shot on Batman Beyond and Harley Quinn, as well as Young Justice, Gotham Adventures, and Detective Comics. Teaming up with Dezago, he co-created The Perhapanuats, which was originally published through Dark Horse Comics, and most recently through Image Comics. His most recent work includes the mini-series The Perhapanauts: Danger Down Under. 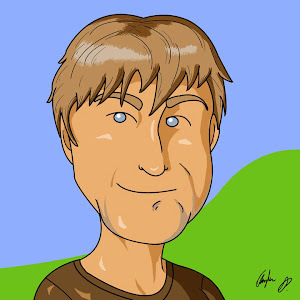 Cartoonist John Gallagher is the award-winning creator of such all-ages comics as Buzzboy, Roboy Red, and Zoey & Ketchup. 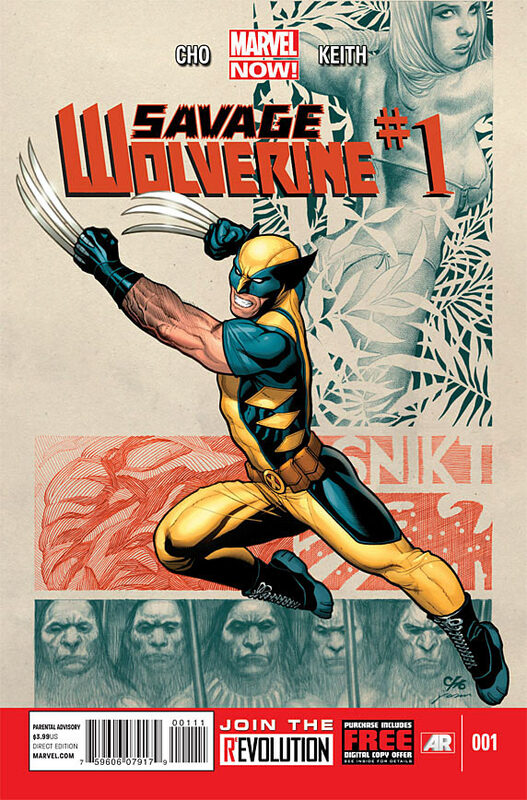 Beginning his career in 1990, he has worked in nearly every aspect of comics production throughout his career - from writing and illustration to art direction. John is also one of the founders of Kids Love Comics, an organization that promotes literacy through comics and graphic novels. 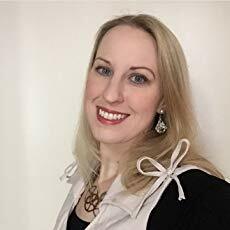 Frank Cho's body of work at Marvel includes such titles as New Avengers, Mighty Avengers, Shanna the She-Devil, New Ultimates, X-Men: Schism,Avengers vs. X-Men, and Savage Wolverine. He is also well-known for his creator-owned series Liberty Meadows and his work on Jungle Girl for Dynamite Entertainment. Most recently, he handled the art duties for the Marvel X-event, Battle of the Atom. Cards, Comics & Collectibles is located at 100A Chartley Drive, Reisterstown, MD. For more information, please visit cardscomicscollectibles.com, our Facebook page, or call 410-526-7410. It took six months of planning and ten hours of filming to produce a few seconds of footage for "Captain America: The Winter Soldier." Superheroes on the Mall are dressed the part, but can they break a record? [in print as Dressed for success?! Superheores swoop in on the Mall in an attempt to break a Guiness record]. Knuffle Bunny is one of the creations of Mo Willems, a best-selling author and illustrator for children, and as Rita Braver discovered, very much a man of the world. "Heroes Aren't Hard to Find: The Comic Art Collection of Shelton Drum" exhibit at the William King Museum, Abingdon, VA, is absolutely fantastic, especially for someone around age 50-60. Shelton bought the art that we all would have, especially Spider-Man pages. Here's a set of pictures I snapped quickly, which don't do the art justice. Why mention this on ComicsDC? Because local hero Richard Thompson is represented with two Cul de Sac strips. This Saturday at Third Eye Annapolis, the writer behind the DEADPOOL Killogy (DEADPOOL KILLS MARVEL, DEADPOOL KILLUSTRATED, and DEADPOOL KILLS DEADPOOL, as well as NIGHT OF THE LIVING DEADPOOL and DEADPOOL VS. CARNAGE) will be in-store signing from 11AM-1PM and we could not be more amped! Cullen has also done HELHEIM, SIXTH GUN, and of course, the brand new SINESTRO from DC. Interview with Ross MacDonald, illustrator of "Boys of Steel"
Book Review: "The Complete Cul de Sac"
My buddy Shannon "SL" Gallant is the artist on G.I. 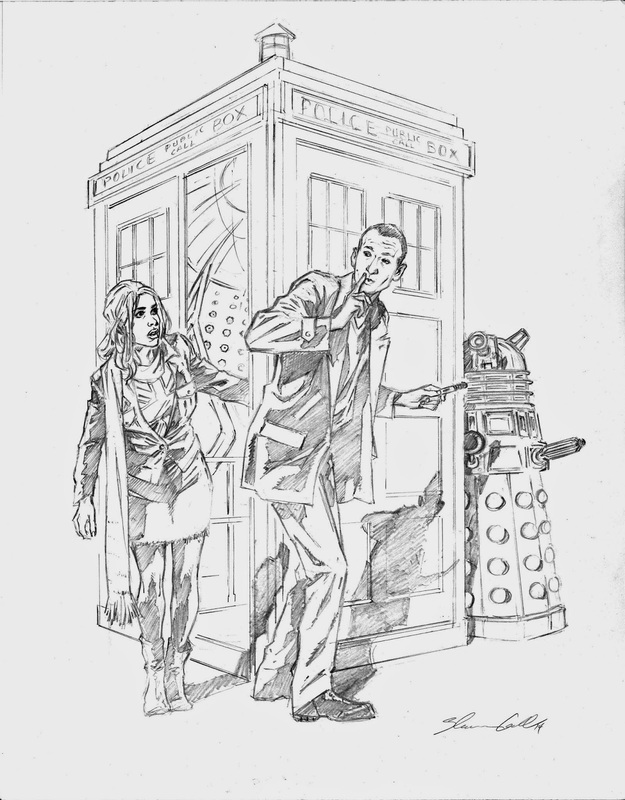 Joe, and he pulled out the stops on this piece of art he did for my Whovian daughter at Awesome Con. My name is Eric and I have been shooting amateur photography for over six years off and on. I normally shoot up in Columbia Height, DC is a private studio (really really small). 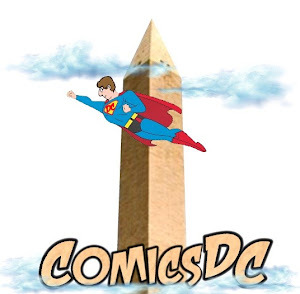 I completely agree with the the creator of Awesome Con that the DC area has been under served by comic book conventions so in my own little way I hope this support the hometown convention. 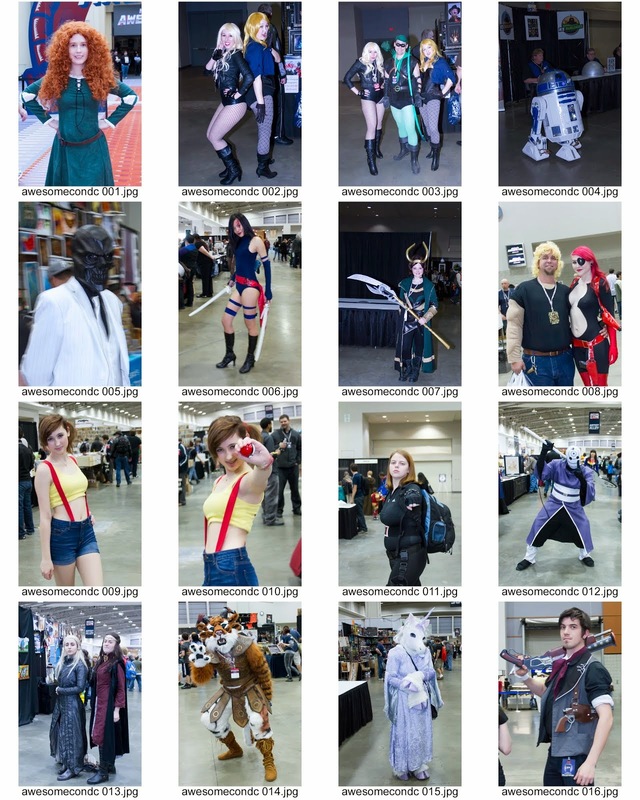 I am hoping to make contact with the various convention cosplay attendees so that I can email back their image(s). 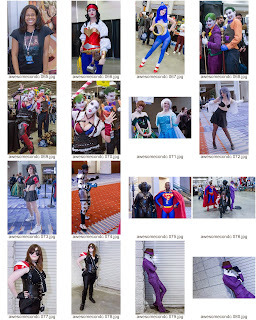 I snapped approximately 1200 images at the convention and now I am editing it down to one image per cosplayer to post to DeviantArt and Flickr. If you are a cosplayer that would like their respective image emailed to them (or really anything else people would like to communicate about such as Photoshop talk or setting up a shoot) then the best way to contact me is through my email (EricPhotoNow@Yahoo.com). 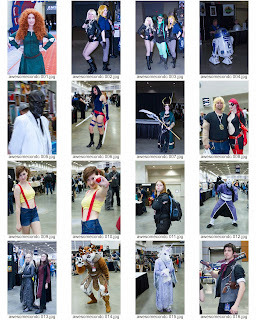 Below were Friday's Cosplayers (better quality images are at my DeviantArt site). PR: Are You Ready for The Intergalactic Nemesis?